- where in the yard should it go? - what do I need to do before planting? - what plants are good to start with? - do I start with seeds or small plants? With some help from these great tips, you can soon (enough) have a beautiful flowerbed or garden full of blooms or veggies to enjoy! Take a few minutes at different parts of the day to scope out good locations for a garden in your yard. Watch how the sun travels throughout the day and how much sun different spots receive. An ideal location will get 6-8 hours minimum of direct or diffuse sunlight every day. If you don't get that much sun, it's okay! You will just need to work with shade loving plants instead. After you have an idea on the where, it's time to work on the what. Sketch out the rough size of your garden bed and plan what plants you'd like to include, allowing for appropriate spacing. Putting ideas on paper will give you an idea exactly what you need to purchase for your project. Before you can build a bed, you need to remove the grass in the area first. Putting a flower bed/gardem over top of grass is recipe for disaster; you will continously be pulling grass. Although not the easiest way, the best way to do this is by digging up the sod with a shovel and hauling it away. You can use chemicals to get rid of the grass but this method takes longer and caution needs to be taken to give the soil planty of time before planting new plants. Depending on the space you have available, and the design you have in mind, you can either construct a raised garden bed or a traditional in-ground one. Raised beds have many advantages over traditional flower beds but are more expensive. Traditional beds tend to be quicker to "build" too. Morning Chores has a great set of ideas if you need some inspiration. When using normal garden soil for your flower bed, it's important to amend it before planting to make it optimal for plant growth. Using a shovel or rototiller work the top 8-12" of soil, adding in 2-4" of compost or completely decomposed manure. This adds organic matter and improves soil structure. If you are a novice gardener, its best to start off with hardy, easy-to-grow plants to increase your chances of success. Sunflowers, marigolds, sweet peas, pansies, nasturtium, fuchsia, and zinnias are great specimens for beginners. These flowers are hardy and have lower maintenance needs. Veggies such as tomatoes, peppers, green beans, radishes, and zucchini are great options too. Plants can either be started from seed, or bought as plantlets (young or small plants), depending on your preference. 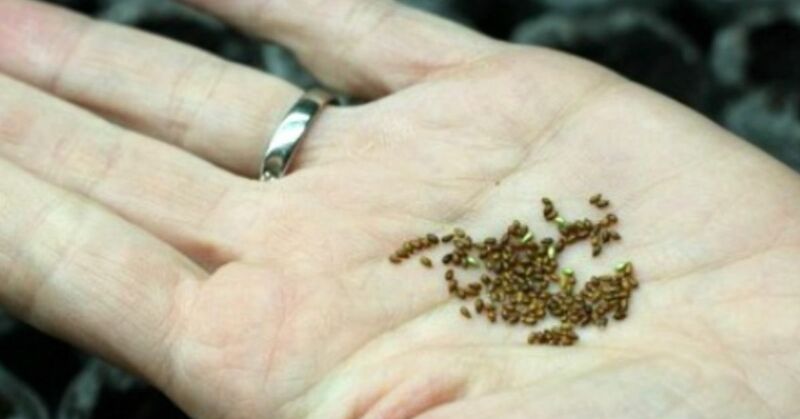 Seeds are much cheaper to purchase but need to be planted earlier. Plantlets are more convenient but come with a higher price tag. If starting from seed, make sure to follow the directions on seed packages in terms of seed spacing, planting depth, etc. Weeds are a huge nuisance to planting beds. Not only do they make your bed look scraggly, they compete with plantss for light, water, and nutrients. Pull weeds regularly to keep the beds looking neat. Catching pests and disease problems early can decrease the amount of damage occured by plants. Continuously check your flowers for anything that looks out of the ordinary (see Planet Natural Research Center's list of common garden pests) and treat problems as soon as possible. Early treatment is much easier than tackling a major infestation. When plants reach a few inches in height, apply a layer of mulch over all of the exposed soil surface. Keep away from the stems of plants to prevent fungal problems. Mulch will help retain soil moisture, and reduce weed problems. Most ornamental flowers and vegetables require approximately 1" of water per week for optimum growth. This amount can include rainfall as well. The type of soil and the overall climate will factor into the amount and watering frequency. Sandy soils drain more quickly, so watering should be broken into 2-3 events per week. Silty soils, or those with high clay content will hold water longer so can go longer between watering.